Some sellers are still holding out for the high prices seen in 2017, but those days are over. Houses in a neighbourhood in Vaughan, north of Toronto, June 29, 2015. More than a quarter of properties listed for sale in the Greater Toronto Area are advertised as being vacant, up 17 per cent year-over-year. Toronto's pricey housing market is often blamed on a lack of supply amid record demand. And according to one expert, that supply is often different than what buyers might expect. Curious about what seemed to be a trend of vacant properties for sale, Realosophy president John Pasalis ran the numbers and discovered that 28 per cent of properties listed for sale in the Greater Toronto Area are advertised as being vacant, up 17 per cent year-over-year. "I'm finding that there are a fair number of stubborn sellers holding out for an unrealistic price for their home, though they've already moved on to another home or downsized (which reflects some financial security/stability because most people can't afford to have a house sitting on the market empty for 6-12 months)," he writes, in a recent report. Pasalis explains that these sellers likely saw the prices their neighbours achieved at the peak of 2017's housing frenzy, and are holding out for similar ones. "These sellers have been slow to adjust to the changing prices in their local market and have seen their home sit on the market for six months and even a year in some cases," he adds. According to Pasalis, the regions showing the largest increase in vacant home listings also experienced the biggest price decline in the spring of 2017. And there are also newly built properties to take into account, which he says may explain some of the increase. "For many of these home 'flippers', selling at today's prices would mean incurring a significant financial loss after factoring in their construction costs and the peak price they paid for the houses when they purchased them in late 2016 or early 2017," he writes. These sellers may be willing to wait out the market, to try to gain a bigger profit when prices inevitably rise later in the year. "These types of trends are very common in housing markets that are cooling and typically result in a big increase in the number of homes available for sale," he writes. 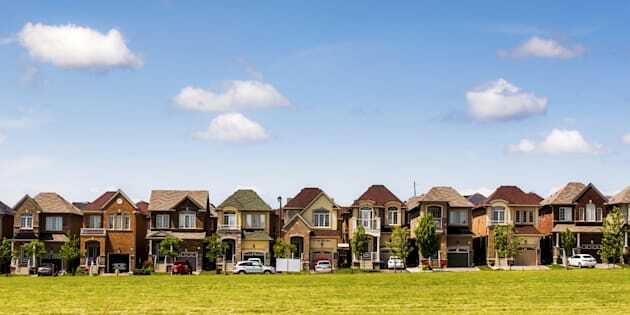 "But inventory levels in the GTA have remained relatively balanced since last year in large part because most sellers have realistic expectations about the market value of their homes." This article originally appeared on Livabl.